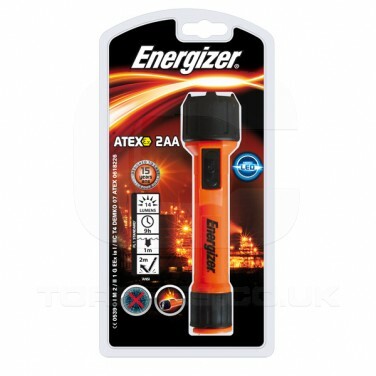 The Energizer 2AA Atex is not only robust and practical but designed in particular for use by industrial workers as it is approved by a number of different global safety agencies. The bright white LED's which feature on this torch produce up to 14 lumens of light and the lens is shatterproof. It is also waterproof therefore protecting internal components and dustproof. Don't worry if you accidentally drop it as it is impact resistant up to 2m. 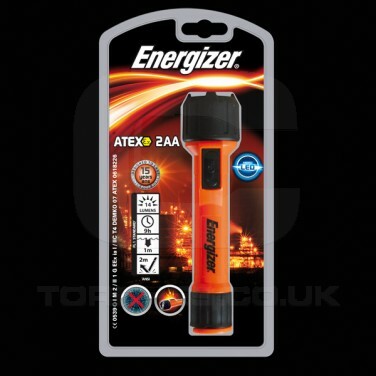 The Energizer 2AA Atex will fit perfectly into a tool box and will stand out from all your other items as it comes in a bright orange colour, ideal to easily identify.